I thought it was an actual yeti brand but not the case. Dimensions 7.87 In. X 7.87 In. X 7.87 In. Best tumbler ever! That is all I buy now. I use for coffee, ice drinks, everything. My coffee stays hot for hours. 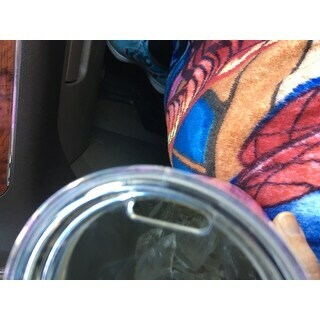 I fill my cup with ice and water at night and it is still cold in the morning! Will be buying one for everyone in the family! Very cute!! 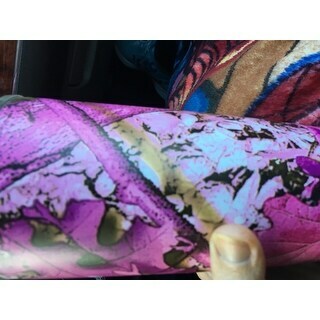 Camo is a little to stretched to fit the cup but its doable. 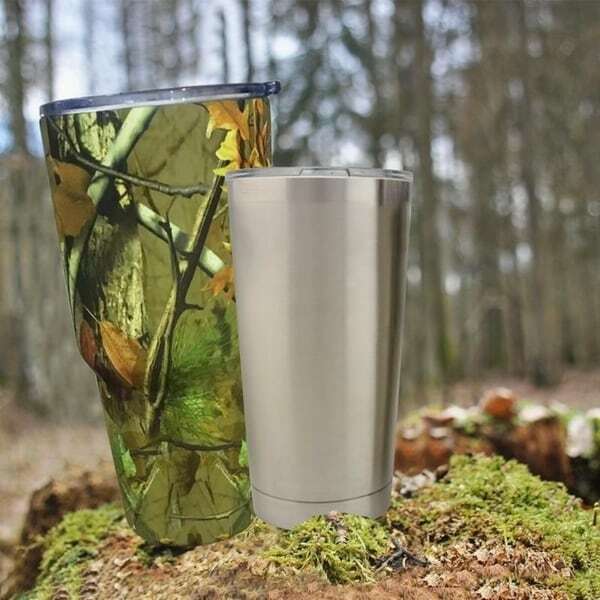 The cup keeps drinks hot or cold for up to 8 hours. Is dishwasher safe. Purchased this for my daughter for work since her other silvers ones turn up missing. Can't miss this one in pink if someone has sticky fingers. Have only used this for cold beverages so far and it stays iced for 12 hours and cold for almost 24 hours. Smart buy. Like the cup, good price. I like my coffee HOT and this cup is keeping my coffee hot until I am finished. This is my first cup of this style and I like it. We have 2 Yeti's already, and bought this as a Christmas present for our son. They hold ice for over 24 hours. Are sturdy and well made. I bought this for a gift and he was very pleased with it! Junk hole on top is nothing can’t even drink out of it, says comped to yeti in comments not even close! "Is this a genuine YET?" This is a yeti style tumbler, not Yeti brand.